Human arms and shark gills don't appear to have much in common at first glance, but new evidence suggests that their evolution can be traced back to the same gene, Gizmodo reports. The suspicion that human limbs evolved from gills dates back to the 19th century. In 1878, the German anatomist Karl Gegenbaur first proposed that the finger-like branchial rays in the arches around a cartilaginous fish's gills are what laid the evolutionary foundation for the fin. From there, the fin would eventually evolve into human hands and feet. While biologists know the second half of the equation to be true, there was no fossil evidence at the time supporting Gegenbaur's theory about gill arches. Now, after more than a century, researchers from the University of Cambridge finally believe they have evidence suggesting the evolutionary connection between gill arches and limbs. For their study, recently published in the journal Development, the scientists performed experiments on the embryos of skates—which belong to the same group of cartilaginous fish as sharks and rays. They focused in on the gene that's responsible for developing digits in mammalian embryos and ensuring they're in the right place (because a mutation in this gene causes spike-like projections on fly embryos, scientists named it "sonic hedgehog" as an inside joke). But what would happen if the scientists tweaked this same gene in skates, which don't have hands or feet? When scientists tried this with skate embryos early in the development process they saw the finger-like branchial rays that form their gill arches grow on the wrong side. When they waited longer to disrupt sonic hedgehog's development, the rays formed on the correct side of the gill arch, but there weren't as many. This shows that the mechanism responsible for growing gill arches acts remarkably similar to the one mammals like humans use to develop fingers and toes. It's still possible that these similarities are a coincidence, and gill arches and the prehistoric fins that preceded hands evolved independently. 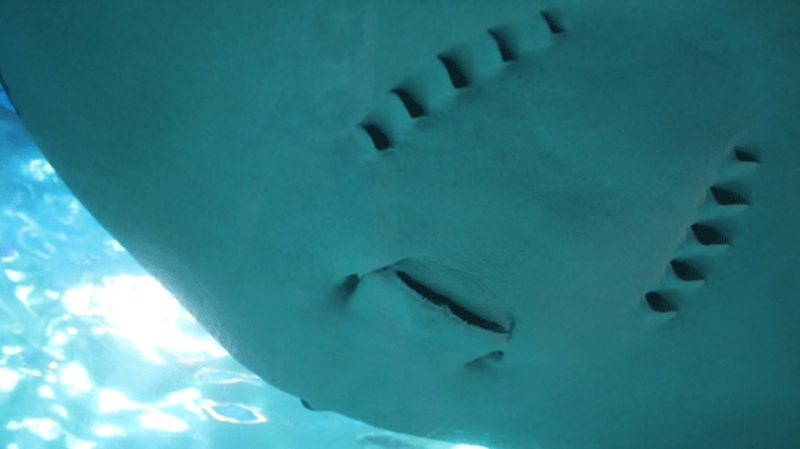 Either way, the researchers hope their findings will encourage more scientists to look at look at evolutionary connections through sharks, rays, and skates in the future.